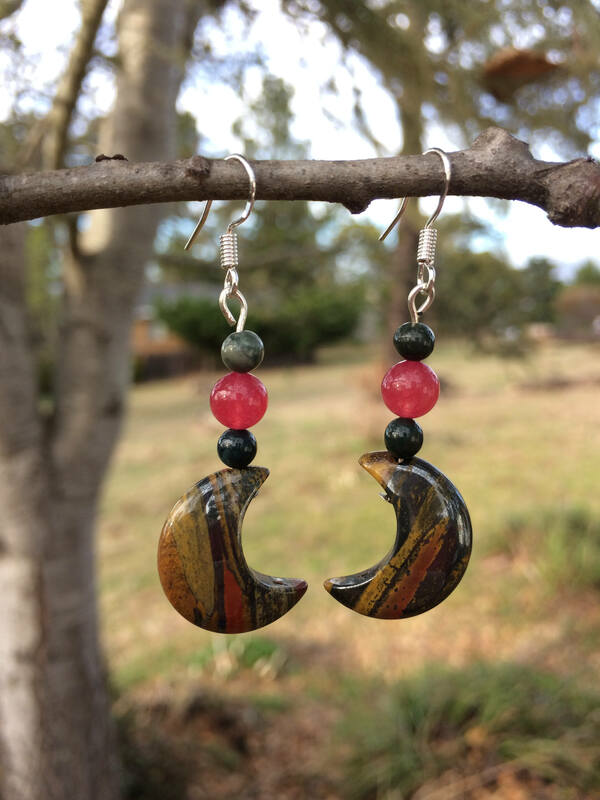 These cute earrings are cool moons with onyx and dyed quartz. I can’t remember what stone the moons are but they are a dark brown with deep red and mustard yellow. They are about 1 1/2” long and hooks are .925 sterling silver.